Darren Ashby serves as Senior Vice President of Operations. In this capacity Darren is responsible for maintaining HealthSCOPE Benefits’ claims and customer care technology and managing the company’s highly experienced staff to deliver the very best in claims administration. 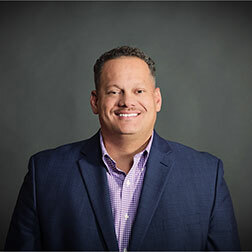 Darren has been with HealthSCOPE Benefits since 2002 and brings over 27 years of experience in the insurance and benefits administration industry to our clients.